PKTX folds down for easy transport. Throw your Original PK and a bag of charcoal on it and take it wherever you want to go. 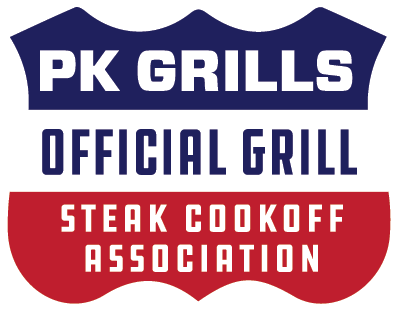 All aluminum construction means the PK Grill capsule conducts heat more efficiently than steel and doesn't rust like steel. 5" real rubber knobby wheels roll over obstacles with ease. Dual ash catches. Large Durabilium side tray with cupholder. Accessory bar. Bungee attach points.